Altering your dog is all part of being a responsible dog owner, both for preventing pet overpopulation and keeping your dog healthy. Pricing for this surgery will vary across regions of the United States as well as by veterinarian. Complications and extra services offered at your clinic may also cause the price to vary. The procedure for spaying or neutering your dog can vary from $200 per dog to as much as $300. While prices can range by region, the difference is usually not significant. Banfield Pet Hospitals is one of the largest providers of veterinary services in the country with over 900 locations in PetSmart stores across the U.S. They have a handy calculator on their website you can use to estimate the cost of spay/neuter surgeries at one of their many veterinary clinics. Estimated prices for a basic canine castration package can run from $325 in Las Vegas, Chicago, Houston, Miami, and Los Angeles to $390 in New York City. The cost to spay a dog at a vet is on average $485 in New York City and $345 in the other example cities. Some shelters or rescue organizations may offer free or discounted spay and neuter vouchers for animals adopted through their programs. Contact them about services they offer as well as to ask about the availability of affordable options in the area. Depending on the size of your local shelter, they may have their own in-house spay/neuter clinic. These often perform services for less than a full-service veterinarian and are generally available to the whole community regardless of where you got your dog from. Some cities and counties will offer vouchers for low-income residents to have their dogs fixed. Contact the department of animal control in your municipality to see what they offer. If you are a senior citizen, check with your local senior center and Area Agency on Aging to see if there are any senior discounts. Both the ASPCA, SpayUSA and PetSmart Charities national websites have a searchable database for low-cost or even free local programs in your area. The Speak for Animals website has links to programs you can apply to for financial assistance. These include vouchers for people on government assistance or a low income that does not qualify for Medicaid and other public benefits. There are also programs for people looking to spay and neuter pit bulls and pit bull mixes. Many communities also have spay/neuter clinics that only do spay/neuter surgeries or sometimes include vaccinations as well and they may be open only certain days and times each week. These clinics generally charge less for sterilization surgeries than a full-service veterinary clinic. The surgery charge at a clinic averages from $45 to $135 for a male dog and $50 to $175 for a female dog. Some full-service veterinarians will offer discounted spay services on certain days of the week or month. Check with them regarding any specials or potential "unadvertised" discounts they give to low-income individuals or seniors. Check with your veterinarian about rebates for medication as well. Large pharmaceutical companies often run rebates for pain medication such as Rimadyl which can help save you money. The spay surgery for female dogs costs a bit more than neutering a male dog because it is somewhat more complicated. While both surgeries involve sterilizing the pet, neutering involves removing the testicles which is known as an orchiectomy. Spaying, on the other hand, involves taking out the uterus and ovaries, which in medical terms, is an ovariohysterectomy. Some clinics may also include an e-collar for the dog to wear post-surgery. Among lower-cost clinics that primarily do spay and neuters, you may find items such as the physical exam, IV fluids, vitals monitoring, and an e-collar, and post-surgery medication are not included. Omitting these items is how low-cost clinics can keep their costs down to provide you with a lower price. Prices can increase based on a dog's weight as heavier dogs require more anesthesia. This is why you will often see pricing listed in tiers by weight. There are other situations where you might see the cost of sterilization surgery increase. Discuss all the variables with your veterinarian or clinic representative, including when is the best time to spay or neuter your dog. 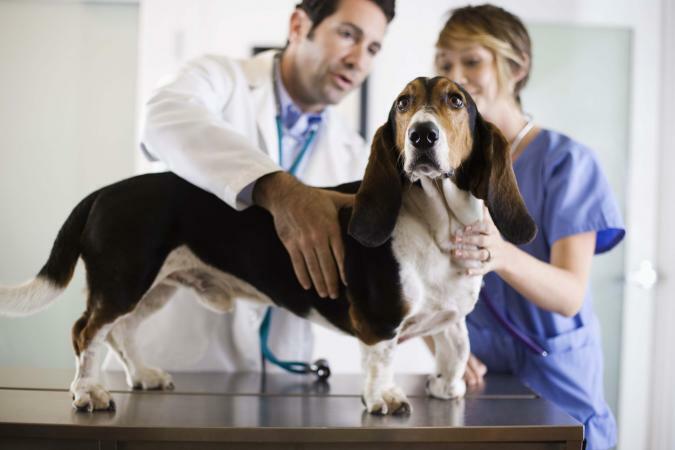 If there are any complications, such as a female dog being in heat or an undescended testicle, the procedure may also be more expensive depending on the veterinarian. If you have a pregnant dog or on that is in heat, spaying her can cost around $100 more. A dog that is cryptorchid (undescended testicle) can face additional costs. It can start at around $100 more on the regular fee up to $800 if the dog is a large or giant breed or if the condition is severe enough that additional tests are required. Dogs that are obese or have a serious condition such as diabetes can cost more because of the need for additional blood work. The cost can be from $25 to $50 more. Many veterinarians also suggest blood work before anesthesia for an additional fee. The average cost is between $100 to $200 which depends on the number of items included in the blood panel. Pain medication can cost on average from $10 to $30. Some vets also require your dog to be up-to-date on vaccinations before the surgery which can incur additional costs depending on the vaccine needed. The average cost of the recommended vaccinations each year is from $10 to $150. 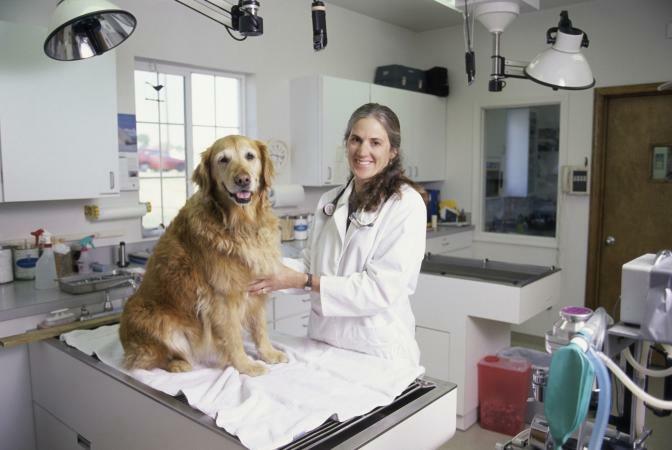 Prices will vary widely depending on where you get them done, such as at a low-cost clinic versus a full-service veterinarian. If you're ready to have your dog sterilized, call around to both full-service veterinarian offices and low-cost clinics to see what your total bill will cover. Every clinic will have different requirements which can increase or decrease your fees. When finding the best option to spay or neuter your dog, it pays to be an informed consumer and research services in your area.